One of the strengths of the CData ODBC drivers is that it can be accessed by a broad spectrum of third-party applications; all of the CData ODBC drivers are compatible with QlikView. You can use the CData ODBC driver for Salesforce to create visualizations in QlikView. The steps below supply the results of our SQL query to a visualization in QlikView. Click Edit Scripts and add the connection and the query. You can select the DSN on the Data tab in the Edit Scripts wizard. You should already have a DSN configured on your machine. 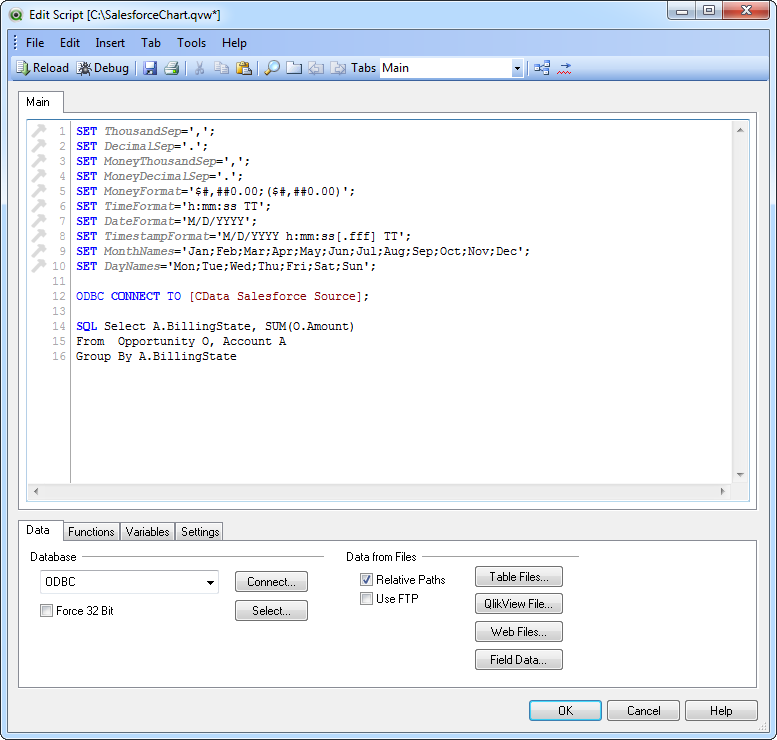 See the documentation of the CData ODBC Driver for Salesforce to configure a DSN. 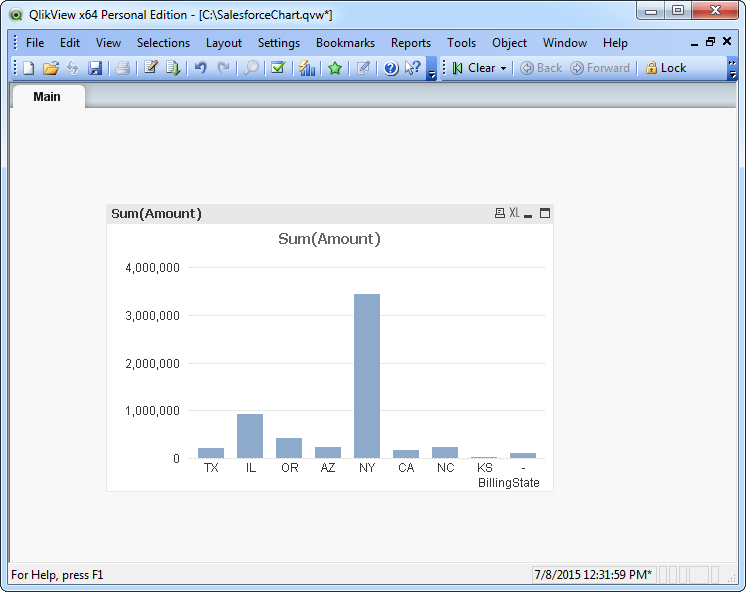 Create a new bar chart with BillingState and SUM_O_Amount as the x- and y-axes using the Create Chart wizard. Finish the wizard to generate the chart and see the results of your query.